There are endless extensions and scripts available to tweak YouTube. But I was looking for an extension that could stop YouTube from auto-playing videos and I found YouTweak. This extension is available for Google Chrome and can be installed from Chrome store. Not only to stop the auto-play, it has many other tweaks too. After installing the extension you you will be asked to visit the options page for the extension. 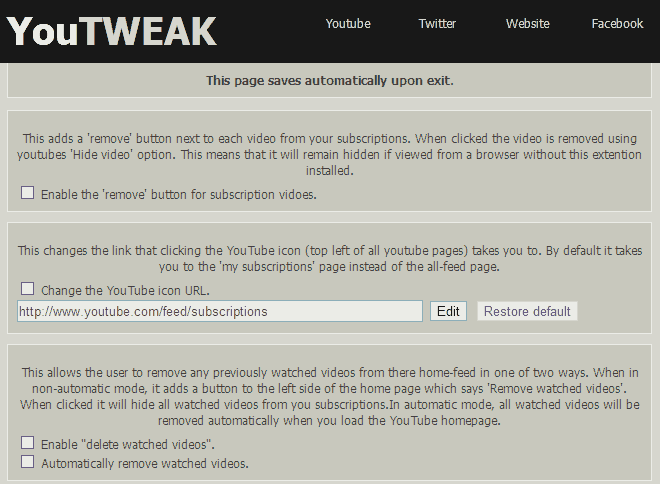 The options page is quite simplified and you will be shown a list of tweaks you could do to YouTube. Every option has a check box attached to the left and description is displayed on the right. Checking the check box will enable the tweak. All of the features are turned off by default, which gives you complete control over the extension. This stops autoplay of YouTube videos whenever you open a new video, but still the video keeps on buffering so that you can any time comeback and enjoy the video without having to wait for buffering. This adds a button with every video on the homepage clicking on which will hide it from YouTube. The hidden videos will remain hidden from your account even after you uninstall this extension because this makes use of the YouTube’s Hide Video option. This removes any subscription video that you have already watched from your Homepage automatically or you can do it manually by just clicking a button. It makes you homepage more cleaner and useful. This feature adds a button on the homepage that when clicked loads all the videos from subscriptions. This is helpful when you want to remove videos that you do not want to watch or you are searching for a particular video from your subscribed channels. This will change all videos from your homepgae to point to HD version. This is only compatible up to 720p. To watch videos in HD you can consider Auto HD For YouTube. 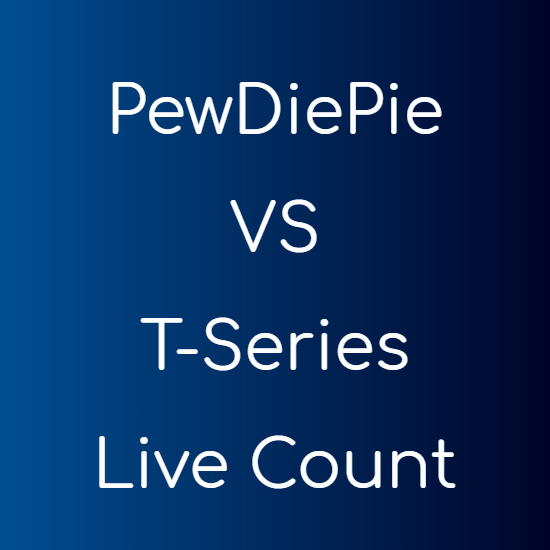 This will add a button to the homepage which when clicked will remove all videos from your subscribed channels. This is useful when you have gone through your homepage feed and you have nothing useful left. Then you can use this button and it will prevent all these videos from clogging your homepage feeds again. The YouTube logo situated at top left of every page by default takes you to YouTube.com, but this option will let you change the default behavior and you can specify any custom URL to be the link for the YouTube’s logo. The extension is quite useful for everyday YouTube users since traversing all the watched videos again and again could be hectic. Moreover the extension does not force you with any enhancement, everything is option and can be enabled individually.